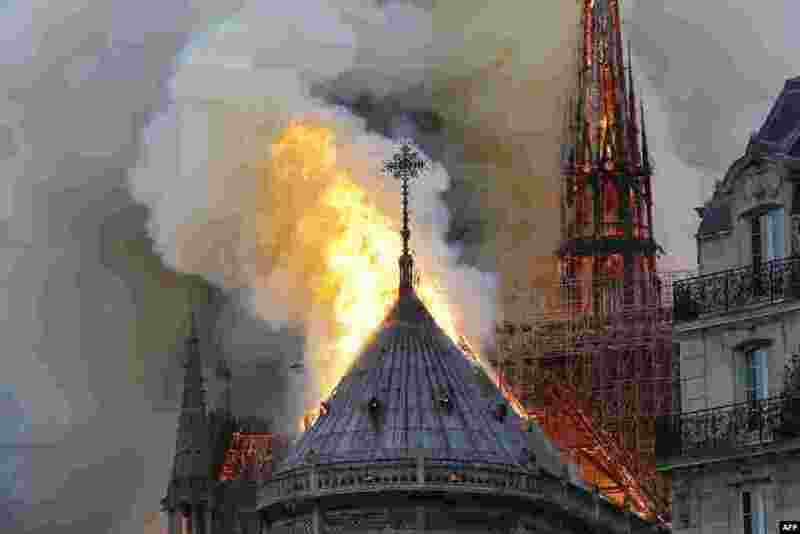 1 Flames burn the roof of the landmark Notre-Dame Cathedral in central Paris, France, where renovations are currently underway. 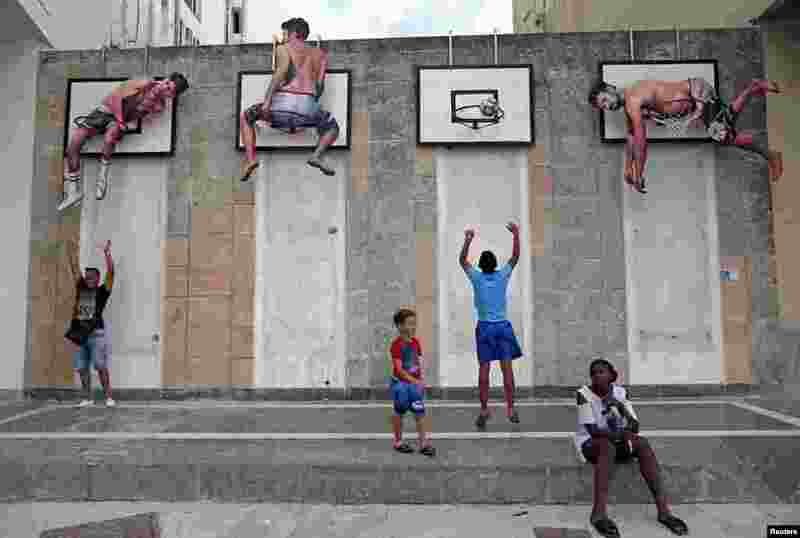 2 Children play basketball with an installation by Spanish artists Martin and Sicilia during the 13th Havana Biennial, in Havana, Cuba. 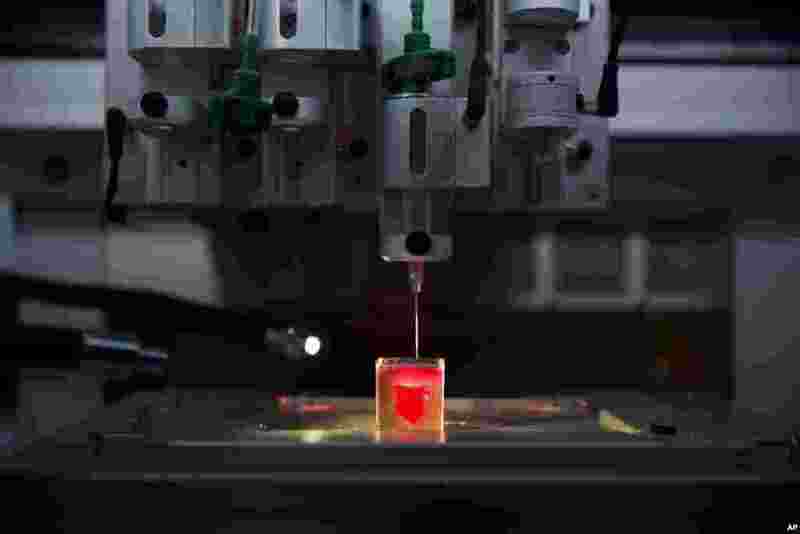 3 A 3D printer prints a heart with human tissue during a presentation at the University of Tel Aviv, in Tel Aviv, Israel. 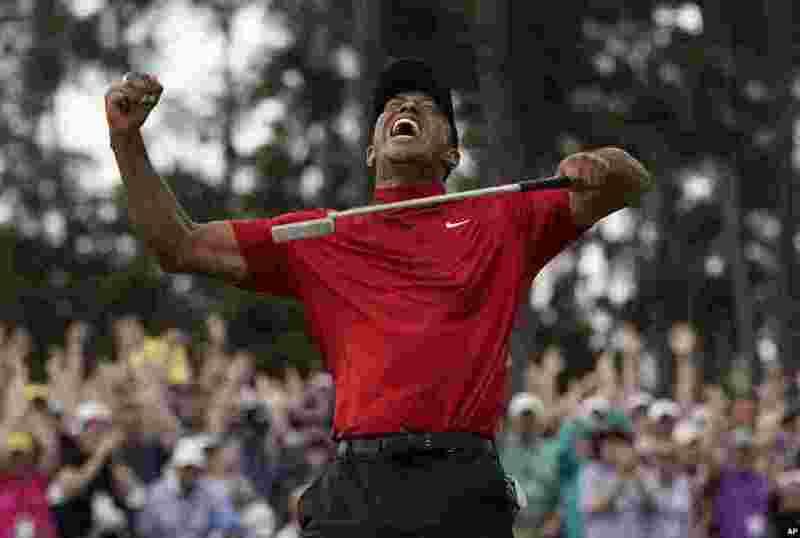 4 Tiger Woods reacts as he wins the Masters golf tournament, April 14, 2019, in Augusta, Georgia, USA.